Anchorage Bay, near the Chignik Airport at the southern edge of Chignik Bay is seen in this 2005 aerial photo from West Construction Co. Bristol Bay Native Corp. plans to explore copper and gold prospects in areas around Chignik Bay in conjunction with Millrock Resources Inc. this summer. The Chignik fishery had a harvest of 3.4 million salmon, including 2.4 million sockeyes, worth $23.3 million in 2013. 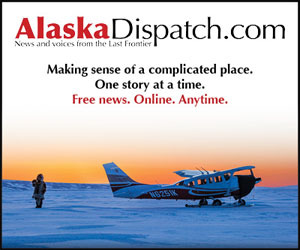 Less than a month after Bristol Bay Native Corp. issued a statement supporting the Environmental Protection Agency’s conclusion that the proposed Pebble mine would endanger region salmon stocks, the Alaska Native corporation announced it had secured a partner to explore for copper and gold on company lands on the Alaska Peninsula. The “area of interest” covers about 480,000 acres from north of Chignik Bay to Stepovak Bay to the southwest on the Gulf of Alaska side of the peninsula. The area is believed to contain approximately 125 million tons of near-surface copper ore and “remains open for exciting new discoveries,” according to a report from BBNC’s project partner Millrock Resources Inc.
BBNC Vice President of Land and Regional Operations L. Tiel Smith sent a letter to corporation shareholders dated Jan. 27 informing them of an agreement between Millrock and First Quantum Minerals Ltd. to fund the $600,000 worth of exploration Millrock has planned for the area this summer. First Quantum Minerals of Vancouver, British Columbia, will have an option to hold up to an 80 percent interest in the joint venture, Millrock stated in a Jan. 27 release. In a written response to questions, BBNC’s Smith wrote that the Chignik exploration does not conflict with the corporation’s stance on Pebble. “What we have learned is that many factors contribute to risk, and that we benefit from getting adequate information to help us better understand those risks. In the case of Pebble, this information was available prior to their finalizing a mine plan because of the considerable data that had already been released,” he wrote. 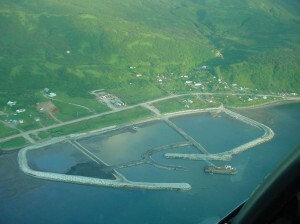 While a much smaller prospect than Pebble in the Bristol Bay area watershed, the Chignik area of interest is a porphyry formation similar to Pebble and sits near the rearing grounds of a large salmon fishery. The 2013 Chignik Management Area commercial salmon harvest finished with a take of more than 3.4 million fish, nearly 2.4 million of which were sockeyes, according to the Alaska Department of Fish and Game. The total ex-vessel value of the 2013 Chignik fishery was reported by ADFG to be $23.3 million. The Pebble deposits are located on state land. The Bee Creek prospect, on BBNC land, is within kilometers of the north side of Chignik Bay and near the upper reaches of the Chignik River watershed, according to Millrock. It is one of the three main copper prospects in the region. A southern prospect, known as Kawisgag, is just inland from the town of Ivanhof Bay and the Mallard Duck Bay prospect covers more than 8 square kilometers south of Chignik Lagoon, which is fed by the river. The Chignik River has a 10-year average escapement of approximately 686,000 sockeyes, ADFG reports. Tim Bristol, executive director for Trout Unlimited’s Alaska chapter, a national nonprofit that also opposes the Pebble project, said the group took its stance on Pebble based on the size and location of the proposed mine and the potential risk it could pose to trout and salmon stocks. The Pebble deposits contain an estimated 80.6 billion pounds of copper and more than 107 million ounces of gold near the headwaters of the Nushagak and Kvichak rivers, according to the Pebble Partnership. 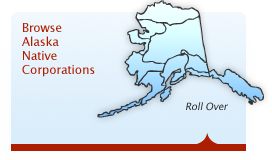 “When Bristol Bay Native Corp. gets to the point where they’re ready to lay out a plan for the (Chignik) area we’re probably going to ask them tough questions, but at this time our focus is going to continue to be on the Pebble prospect,” Bristol said. He noted, however, that “there’s definitely a little bit of irony” surrounding BBNC’s stance on Pebble and the Chignik exploration on its own land. Pebble Partnership proponents have said the project should not be judged until an official mine plan has been released, a step the group has not yet reached after major mining company Anglo American Plc withdrew from its partnership with Northern Dynasty Minerals Ltd. last fall.